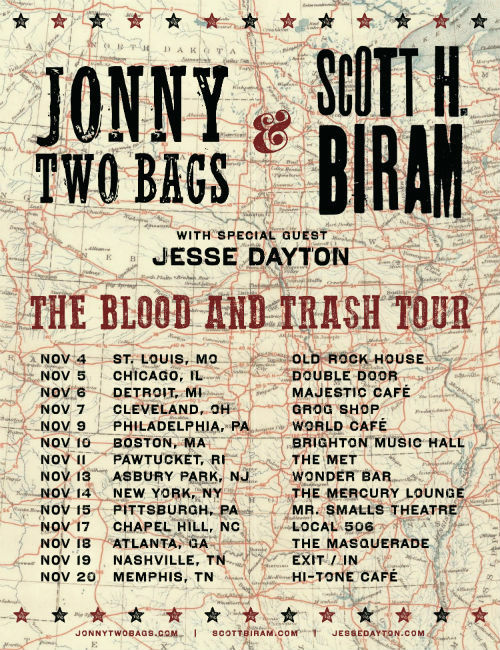 ***Tonight's show featured excerpts from my interviews with Scott H. Biram and Jonny Two Bags. CLICK HERE to listen to the full interview with Scott H. Biram. CLICK HERE to listen to the full conversation with Jonny Two Bags. SHB, Jonny Two Bags, and Jesse Dayton are touring together through November. Check the poster at the bottom of this post to see if they'll be in your neck of the woods.